At Agora Portals International School children aged from 6 to 12 can participate in a wide range of sporting activities throughout the holiday period, including swimming, artistic gymnastics, chess, judo, volleyball or basketball, developing new skills and enjoying the many additional benefits of participating in physical and sporting activities. Rugby and Swimming Camps are also available for children aged from 8 to 16 years, in addition to a Cycling and Water Sports Camp including canoeing, snorkelling and paddle surfing. All our sports camps are taught by specialist instructors and offer full immersion in English. A Musical Summer Camp for beginners and more experienced musicians alike. The classes on offer are varied and educational and include musical games and activities designed to stimulate a love of music in an atmosphere of friendship and fun. 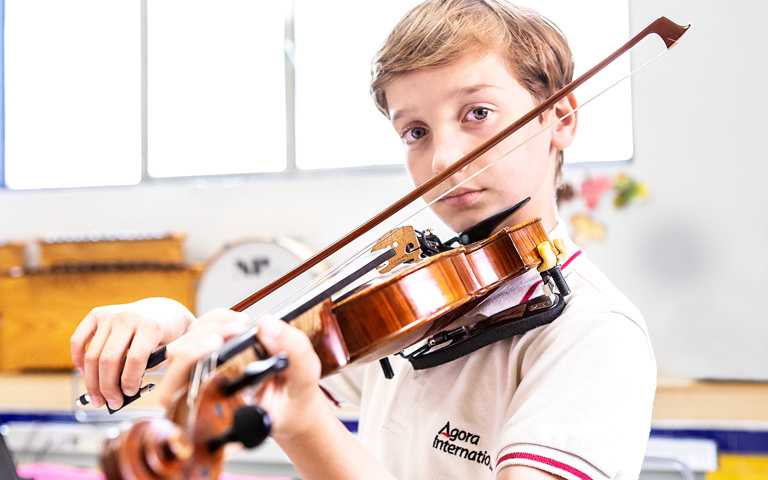 Agora Portals’ Music Academy offers classes at Elementary and Professional levels and the programme is suitable for children aged from 7 years upwards. A fun and stimulating way to improve fluency and confidence in English, German or Spanish through language immersion, combined with swimming lessons. 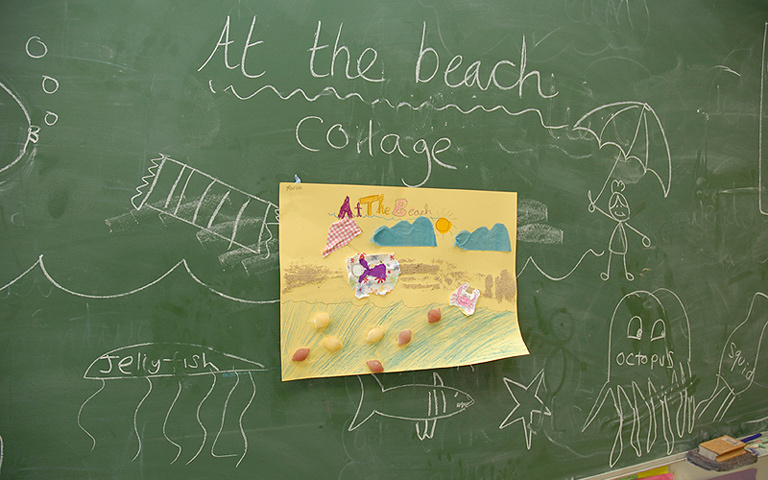 Courses are suitable for children from Preschool to Year 6 Primary as part of the English Summer Active Holidays programmes, and from Year 1 to Year 6 Primary for the German and Spanish Camps. For those wanting excitement and exhilaration, our Adventure Camps will fit the bill! Adventure Camps include activities such as rafting, caving, climbing, mountain biking, night games, canoeing and canyoning and are available for boys and girls aged from 10 to 15 years old. The camp includes a full day at the Port Aventura Theme Park. 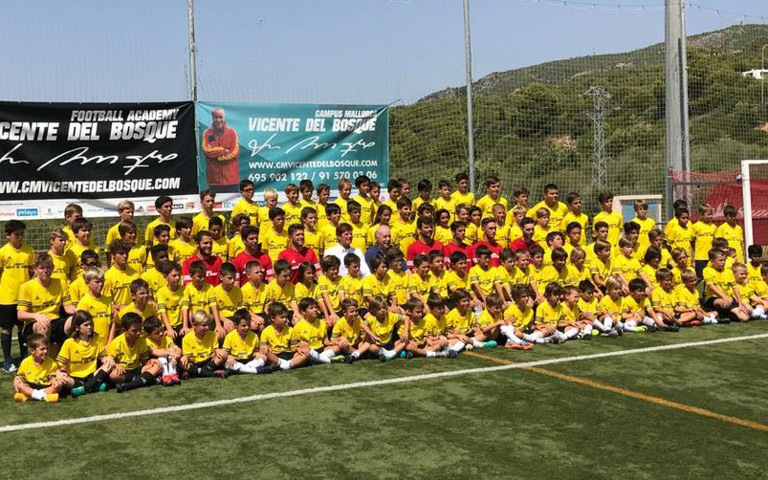 After 7 editions enjoying the magnificent facilities of Agora Portals International School, the Vicente del Bosque football Camp Mallorca has become a concept of education and physical activity promoting sports and human values such as friendship, integration and companionship. We are experienced in the world of professional sports and training, our team is certified and highly qualified, and, of course, we rely on the input of the National Team Leader and World Champion, Sr. Vicente del Bosque. One of the many advantages of belonging to the NACE Schools Group, is the contact that we have with other international schools and pupils in various parts of the world. Students from Agora Portals International School are offered the unique opportunity to spend their summers at one of NACE excellent schools in the United Kingdom. Choose your destination and find out more!